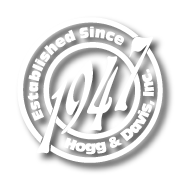 The Hogg and Davis, Inc., Break-Away Reel was designed to recover overhead or underground cable, conductor or strand which is to be scrapped. No demurrage costs because company reels are no longer being used to ship scrap cable. Eliminates the mess and cost of chopping the cable is made into easily handled coils. 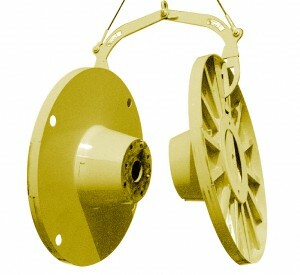 No collapsed reels because the BREAK-AWAY REEL is designed to with stand 50,000 lbs. line pull. No scrap penalties because the “Scrappers” do not have to handle messy chopped cable or additional reels. Reduce freight costs because nothing is shipped but scrap. Diameter: 60”, Width: 36”, Core: 26”-19” tapered, Mandrel Hole: 2-33/64”, Drive Pin Holes: 1-1/4” on 18”, Approx Weight: 800 lbs. Diameter 80”, Width 50”, Core 28”-19” tapered, Mandrel Hole 2-33/64”, Drive Pin Holes 1-1/4 on 20”, Approx. Weight 1,450 lbs. Diameter 96”, Width 50”, Core 28”-19” tapered, Mandrel Hole 2-33/64”, Drive Pin Holes 1-1/4 on 20”, Approx. Weight 1,650 lbs. Diameter 108”, Width 50”, Core 28”-19” tapered, Mandrel Hole 2-33/64”, Drive Pin Holes 1-1/4 on 20”, Approx. Weight 1,950 lbs.